Volunteers search wooded area for missing UH student. 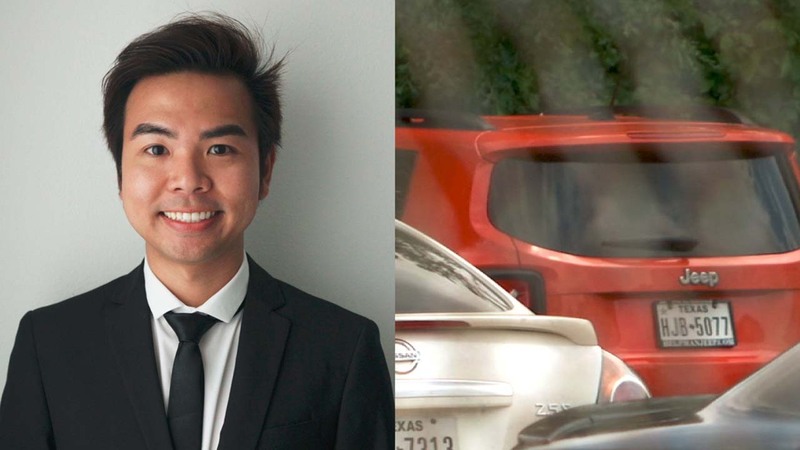 HOUSTON, Texas (KTRK) -- Texas Equusearch volunteers are looking for missing University of Houston student An Vinh Nguyen in the woods in northwest Harris County. Volunteers say the sheriff's office gave them specific instructions to focus in on a three to five mile square foot area near FM 1960 and the Hardy Toll Road. Investigators wouldn't say why crews should look there. Nineteen days ago, Nguyen disappeared. For nearly three weeks, detectives have been secretive about the case. Eyewitness News has uncovered a big development in the case of missing University of Houston student An Vinh Nguyen. But today, ABC 13 has new information. We've learned Nguyen's beloved orange Jeep Renegade, which we tracked down at the sheriff's impound lot Friday, was not found on the U of H campus. Investigators wouldn't say where they picked it up. But we're told it was empty and the keys are missing. Detectives don't have Nguyen's cell phone either. A spokesperson with the sheriff's office says investigators are also waiting on important evidence: test results from their lab that could reveal more. What kind of tests? Again, authorities won't elaborate. The area Equusearch is searching is not far from Nguyen's family's Willowbrook area home. "[Harris County Sheriff's Office] have been working very hard on this case and if we have to work a few extra days to make sure we cover that territory, we are going to do it," said Frank Black with Equusearch. Meanwhile, Nguyen's family waits. Volunteers did not tell them about the search today. "I did not want [them] to get [their] hopes up that we are going to find him right away and then be put on an up-and-down emotional roller coaster and stuff like that," Black said. There are about 10 to 12 Equusearch volunteers looking. Normally, the group is bigger. But, Director Tim Miller is dealing with a mess at home. Miller's house was flooded Tuesday. We're told some of Equusearch's equipment was damaged. Several volunteers are at Miller's home helping him clean up.